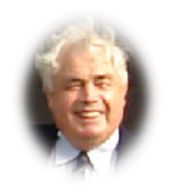 He passed away peacefully on 9th May 2012, aged 83. He had been plagued with health problems for some years, but was never heard to complain. He just cheerfully got on with life as best he could and always had a smile for everyone. After he gave up playing, the only times he missed supporting a home game were when he was in hospital. Alf was a spectator at Shenfield long before he became a playing member. Here he is, fourth from the left, sitting with his arms crossed, in 1937. Alf and some of his team at the Annual Dinner in 1976, having won the Greene King League 2nd XI Championship Cup. The following moving tribute was received from former Shenfield player Phil Robins and his wife Sheila, now living in Adelaide. We were so sorry to hear about Alf, one of the great stalwarts of the club. He, along with the Wright Family, John Burrows, Keith Robinson et al, typified what being a true club person is all about, and has made Shenfield C.C. the great club it is today. I met Alf when I joined the club and played my first game for them in 1947. He had preceded me by a couple of years. He was an amazing character, I well remember him persuading myself and other club members to join his door knocking/collection activity to get 'stuff' for the Alfie West annual Jumble Sale in the Parish Hall. Whenever there was a task to be done, no matter how onerous, Alf would be in there boots and all. Whenever we came back from Oz on holiday Alf would be one of the first to welcome us back. It was though we had never been away. I really valued his friendship and will miss his cheery smile and his 'I take it you'd like a pint'! I have let my brother Peter know the sad news and he joins me in passing on our condolences to Alf's family. I just wish we could be there for the celebration of a great life.